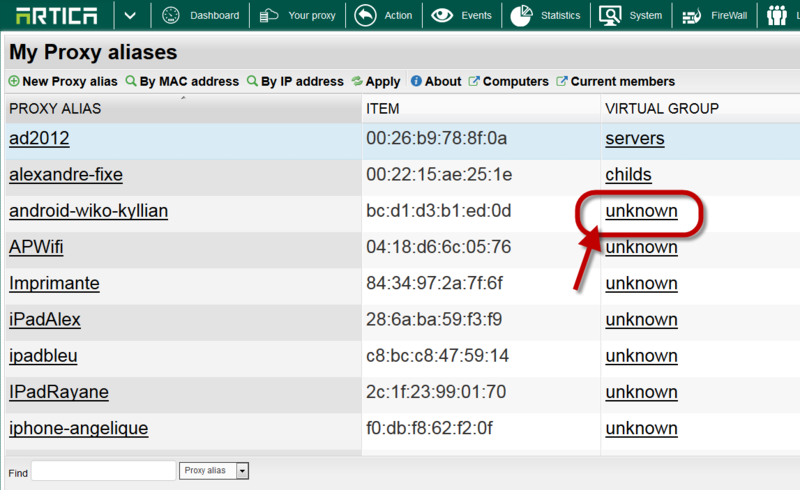 When the Artica server is connected to the Active Directory group, you can drive the Statistics Virtual groups retreiver. The same method can be used when the proxy is not connected to an Active Directory server. This feature is available on Artica v2.21.091211 or above. On the main table item that does not have group are marked as Unknown. You can create a new group in the “Group (New)” field or selected an existing one in the drop-down list.